Crush injuries are caused when a person is squeezed, caught, crushed, or pinched between two objects or parts of an object. When a worker is injured in a crushing incident, he can suffer catastrophic injuries or death. In the construction industry, being caught in or between objects or machinery is one of the “fatal four,” or leading cause of death on the job. If you suffered one of these injuries and work for a non-subscriber employer in Texas who has opted out of providing workers’ compensation benefits, you will need to prove their negligence in causing your injuries in order to receive the compensation you deserve. When employees drive vehicles as part of their job, they could suffer crushing injuries if they are pinned inside a motor vehicle or truck in a crash or are run over by a co-worker who is driving and does not see them. Forklifts at construction sites, factories, warehouses, and big box stores can also be the cause of these catastrophic injuries when employers fail to train workers in their proper use or fail to follow safety measures. Laborers at construction sites can suffer a crushing injury if bricks, tools, equipment, and building materials are dropped or fall from a height and hit them. 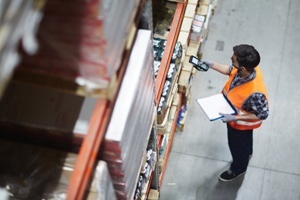 People who work at warehouses, big box stores, docks, moving companies, and other businesses or stores where goods are moved can suffer one of these injuries if a box, furniture, or heavy equipment falls from a shelf or when being moved. Many of these injuries could be prevented if employers followed appropriate safety measures. Many workers can get their fingers, hands, arms, legs or other body parts caught in the moving parts of equipment or crushed between equipment parts when safety guards and emergency stop devices are not installed and employers fail to train workers in their proper use. You could suffer traumatic brain injury, amputation of a body part, paralysis, nerve damage, broken or crushed bones, internal organ damage, or death in a crushing incident at your place of employment. If you work for a non-subscriber employer who was at least one percent negligent in causing your injuries, you may be entitled to compensation for your lost wages, medical bills, and pain and suffering. Our experienced workplace injury attorneys have fought for the rights of many workers at these companies in the Dallas/Fort Worth area. To learn how we can assist you, contact us online or call our office directly at 817.380.4888 to schedule your free initial consultation. We help injured workers throughout Texas including Arlington, North Richland, Grapevine, Bedford, Hurst, Euless, Irving and all points in between.